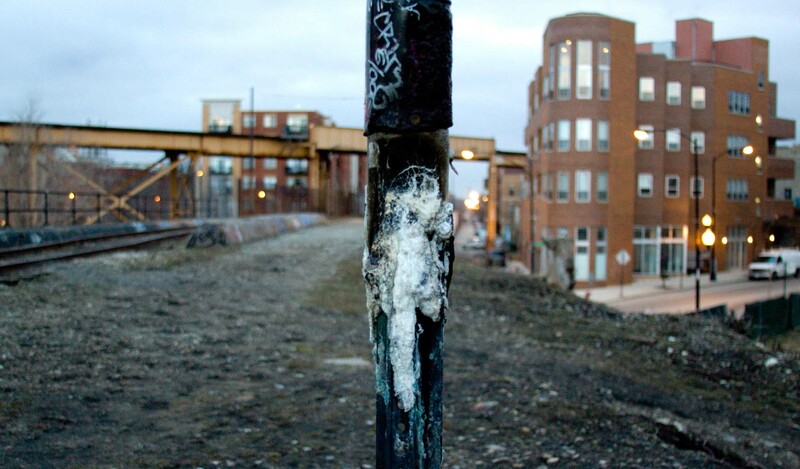 Artist’s Statement: Walking along the raised trail, following railroad tracks left to the elements and adorned with graffiti, I drew near a group on a second story deck. When I passed by, a man called out, “How’d you get up there?” My initial reaction was a tingling on the back of my neck—guilt. 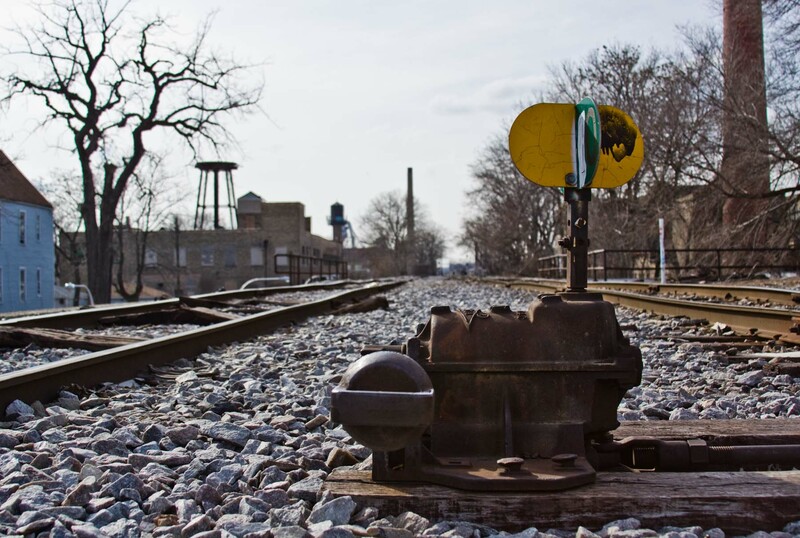 The discontinued rail spur was owned by the Canadian Pacific Railway and acquired in January of 2013 by the City of Chicago in advance of its transformation into the High Line of the Midwest. Construction of parks, public spaces, and performance centers will begin this summer—but the trail has long been accessible to anyone willing to risk a fine and a stern talking-to about the sanctity of private property. It is not yet open to the public. Notices still adorn trees and signposts along the 2.7 mile stretch of the rail informing any wanton trespasser that they are intruding on Canadian Pacific Railway property. But the feeling of guilt—of being a willful transgressor—is alleviated when you pass a runner, or a man with his two dogs, or a group of kids out for a mischievous stroll. 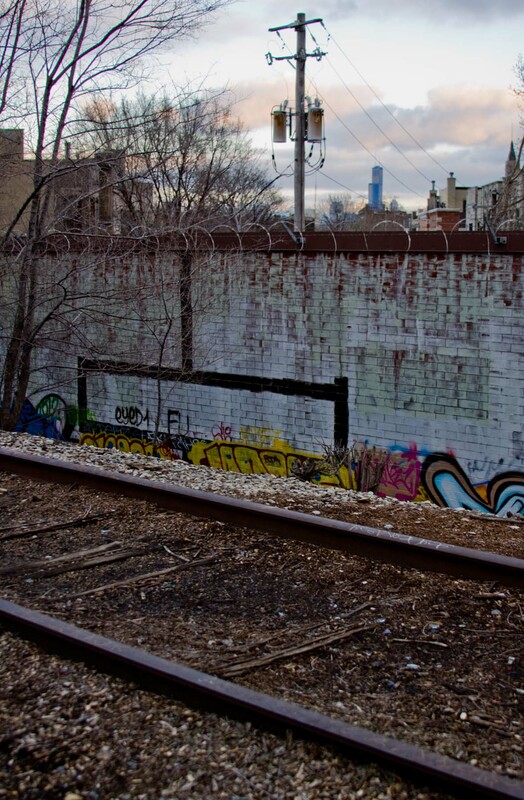 The rail line may be closed, but the chain-link fences that have been cut or pried open into makeshift entrances, and the low walls that are easy to climb have not been diligently supervised or regularly repaired (though a ladder that facilitated access at Ashland Avenue was removed). While not everyone in Chicago knows where these unofficial entrances are, a quick search on Yelp provides a community of reviews and answers about access. The Bloomingdale is a caesura in the flows of history and functionality. It is a place at once part of these flows, born from them but abandoned and left to grow into something else. 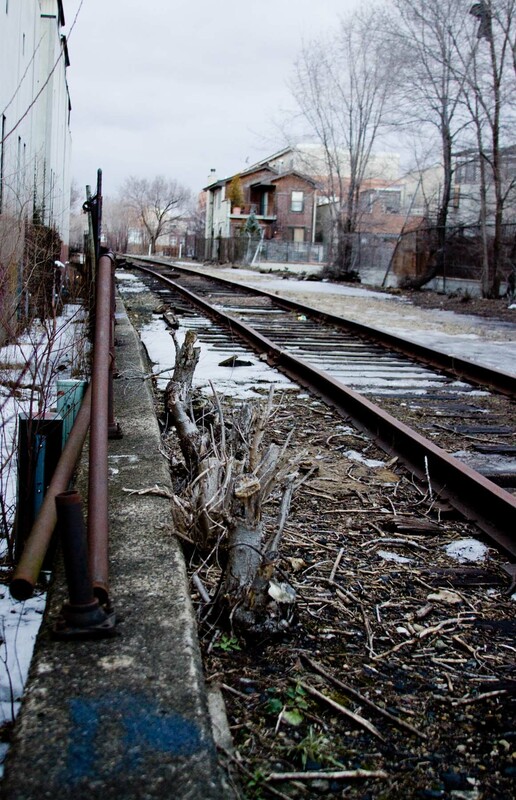 Over-determined by history, human geography, and appearance, the trail is entangled with the rise and fall of rail commerce in Chicago. It passes through multiple neighborhoods with different identities and varied socio-economic statuses. At its western end the abandoned line is still connected to a hub of working lines where recently parked train cars wait, full of ballast in preparation for the renovation. 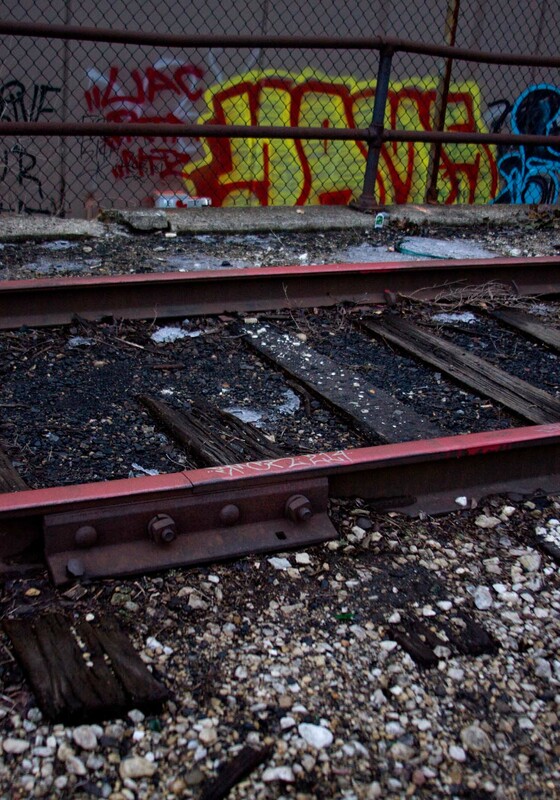 The tracks still connect to a junction near Lawndale Avenue, serving as a reminder of their functional purpose. 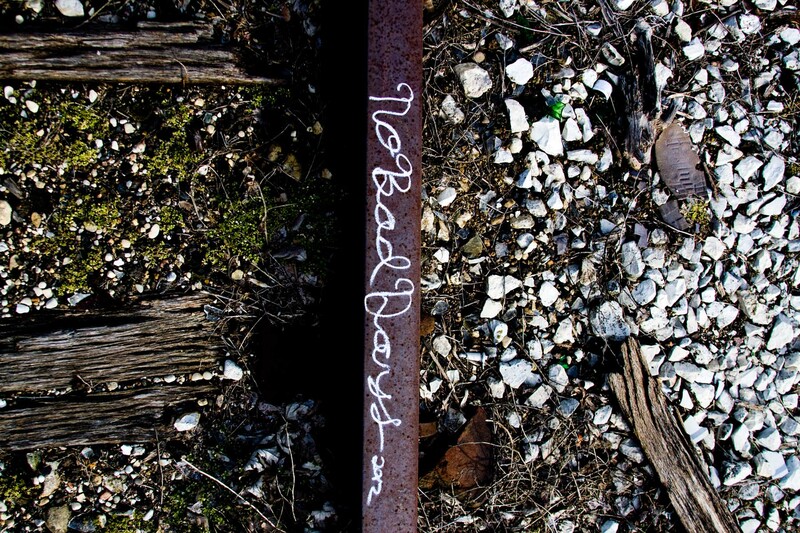 On the trail today, accumulated graffiti adorns not just walls but guard rails, utility boxes, rail switches, forlorn platforms and the rails themselves—“No Bad Days 2012” one graff writer tells any who care to look down. 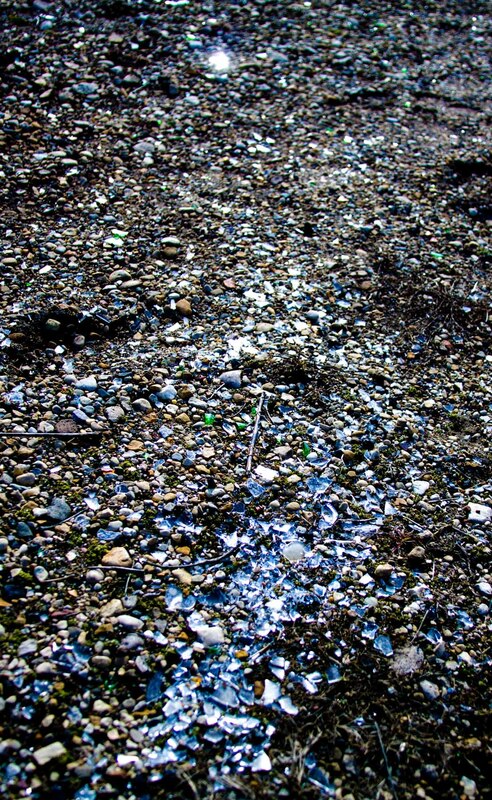 Trash left by passer-throughs and small ponds of glittering gravel add variance to a landscape of steel, rotting ties and wild grasses. The Bloomingdale contains multitudes. But the serenity of the trail, the affective and aesthetic experience can be something outside of the polysemy foisted upon it. 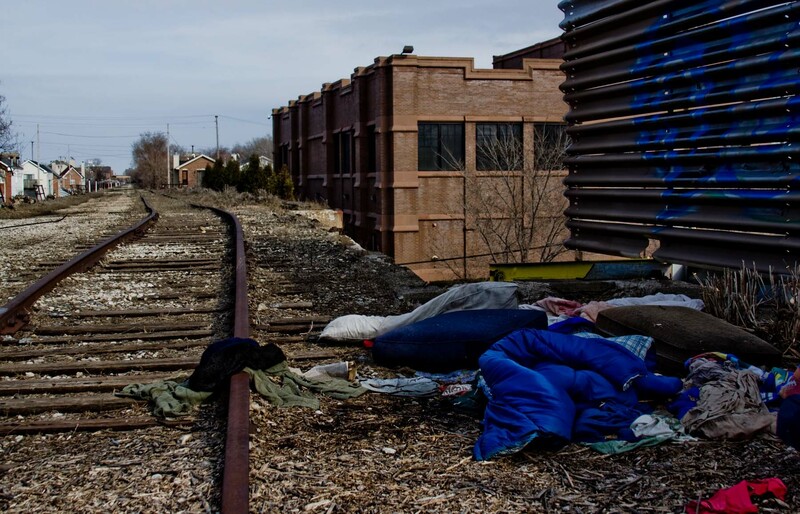 The city will make the Bloomingdale Trail into a sanctioned public space—a place you want to take kids. Beautifying, sanitizing. These photos look at the Bloomingdale before this occurs. My intent was to view the trail not solely as we understand it within Chicago politics, history, or the topography of the city. 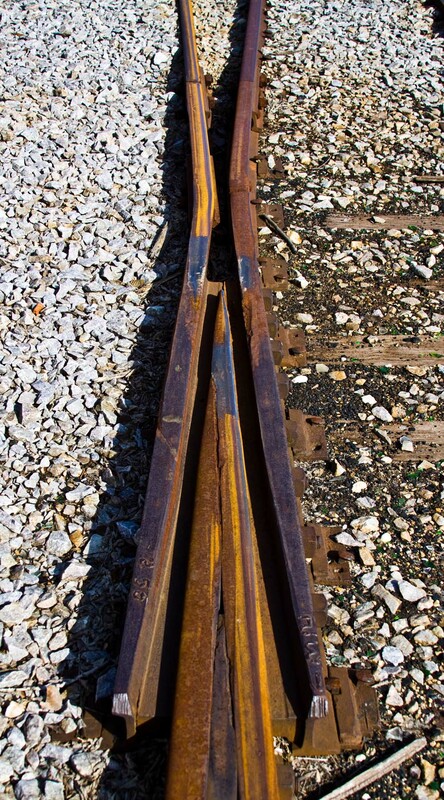 The photos are meant to look at the trail, the rail lines being a defining factor, and the intersection of its manmade and natural components. 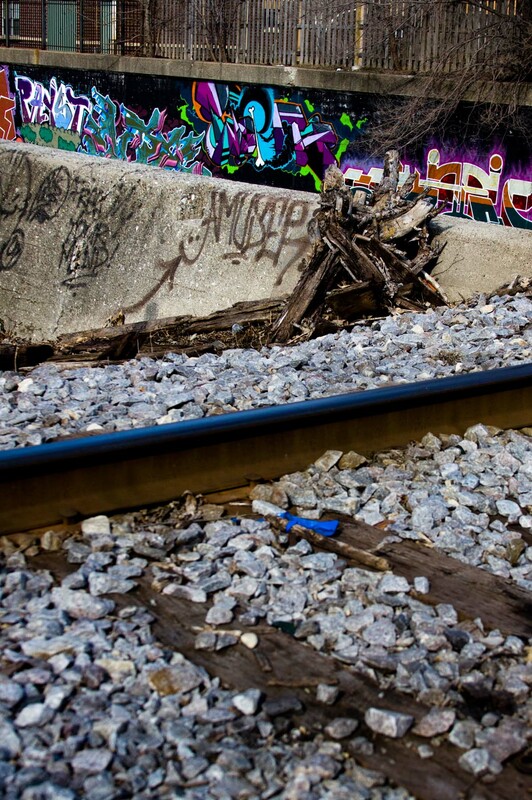 Trash and broken glass, parked rail cars and leftover barrels, artistic expression ranging from tagging to inspirational messages—all human additions that braid together with puddles and snow, gravel and grass, trees and tree stumps. 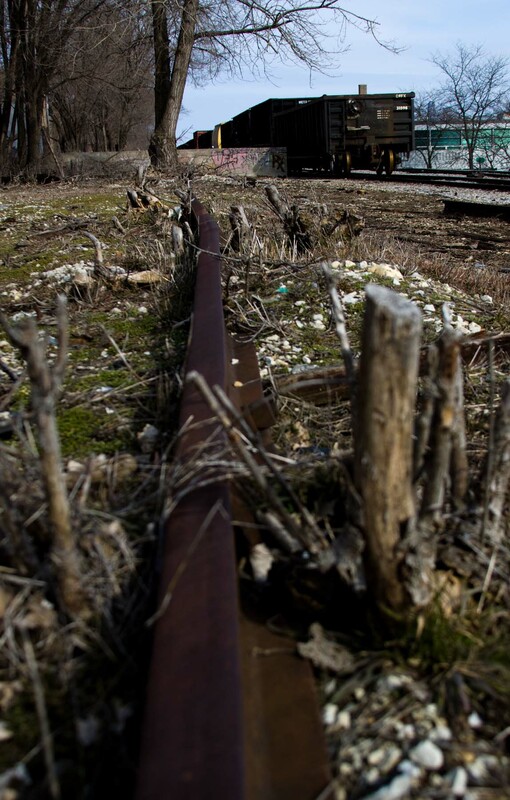 All this makes an aesthetic experience to be considered without a necessary connection to history, without advocating for regenerative efforts, and without indicating the trail’s identity across neighborhoods. It is impossible to fully remove oneself from the expanded phenomenological roil. But when you stand on the trail, especially above a main avenue, the urgent flow of cars becomes less threatening to one’s sense of time’s strictures. When you are used to the city’s movements, standing on or around rail lines that will not be bringing a train to usher you to work is a moment of escape. A public park may bring relief and supply the city’s quota of public space for neighborhoods but this will be something different than the Bloomingdale. Those who ventured onto the Bloomingdale in these days of abandonment will have to be the raconteurs, who hold nostalgia dear, to tell everyone sitting on a picnic blanket next to a newly poured concrete bike path of the trail’s middle period of glory. Rambling in the ruin, perambulating in the abandoned-but-not-forgotten will soon give way to the forces of urban beautification. James Toftness (MAPH ’11) has had a camera in his hand since before the digital age, though eventually he gave into the digital age’s pull. 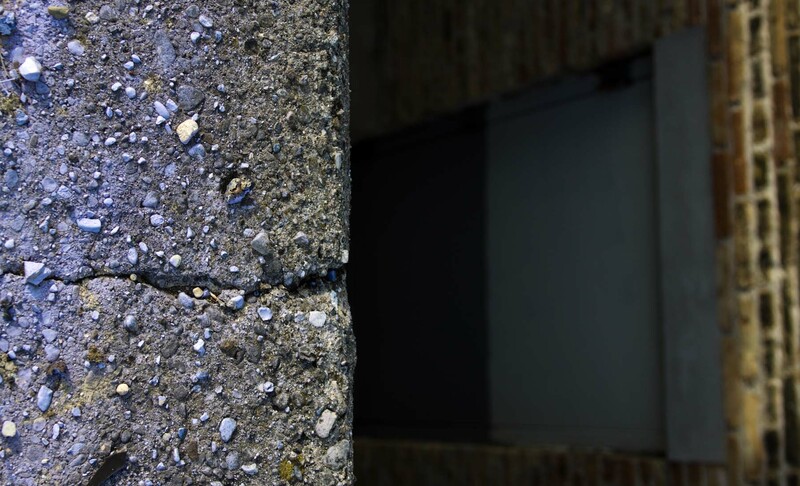 His photographic interest in the urban landscape tends towards textures and recurring material phenomena that lurk in the background of the metropolitan experience. He continued his stay in Chicago after MAPH because the city had too much to offer.